A lodge built in Japanese style using modern red bricks that is close to the level five stadium and Fukuoka Airport and the outskirts of Hakata. 4 bedrooms/100 of 2 households multi-storied house with 2 independent entrances with toilet and shower facility on each floor. The old Japanese-style house maintained its original beauty and underwent renovation. 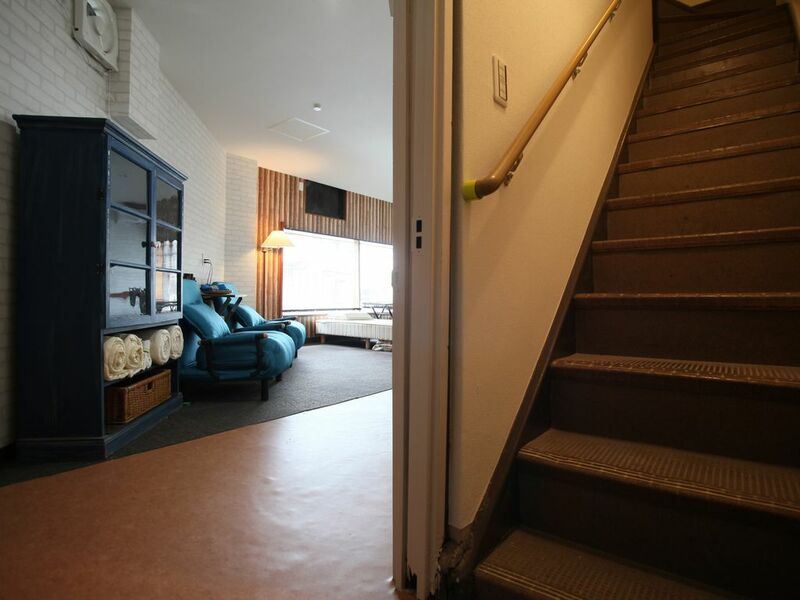 We invite you to enjoy privacy in the outskirts of Hakata away from the downtown. The 100 wide NEKO lodge is 3 minutes by car from the level five stadium and 5.5 kilometers away from Fukuoka Airport in the east that takes 10 minutes by car and 15 minutes by bus. It takes 20 minutes by bus from Hakata Station and Tenjin Station to get to the quiet residential area, which has been fully renovated to the Japanese modern style where you can enjoy Fukuoka tourism and business. The 100 multi-storied duplex 4 bedrooms can accommodate a maximum of 16 persons. The high-quality (steel-frame concrete structure) on the outskirts of Hakata ensures high security (in accordance with Fire Services Act), which has become a popular transfer hotel for Fukuoka Airport of future-type free space. The host family is bilingual in English and Japanese qualified with certifications as experts in fire control, food sanitation and first aid. The host with abundant experience of working overseas supports your travel plan with safe and comfortable services. The NEKO lodge is a guest house of Japanese modern theme that integrates 40 years of traditional beauty with modern renovation. You can use the first and second floors separately, or use the whole house as a multi-storied guest house shower room rooms. There are stand-up bars, grilled chicken skewers house and a convenience store 2~3 walking distance away, as well as Hotto Motto lunch box store, 24 hours supermarket and convenience store. Also, there is a sports center (level five stadium) where you can enjoy different fields of sports, as well as swimming, woods bathing and picnic. We invite you to enjoy your big travel plan at our big house.